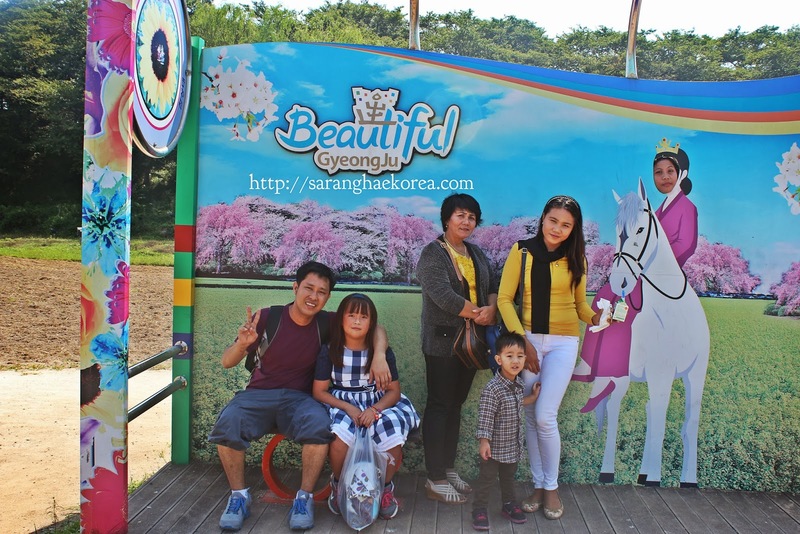 South Korea has a lot of very interesting places to offer to both tourists and expatriates. I have been to several places of South Korea and I was really amazed with the idea that all those famous attractions that I only saw on TV were standing tall right in front of my eyes. The most memorable place I have visited so far is Gyeongju city which is located in the Southeastern part of Korea in Gyeongsangbuk-do Province. Since I discovered that I have some acquaintances-slash-adopted-relatives-slash-neighbors-slash-aunties living in the southeast part of South Korea, I planned to visit them. The problem is, I don’t have ample time to do it because their place is almost 8 hours away from my place. During the Chuseok holidays, I have this 2 days opportunity to visit them at Gyeongju. It was my first time to travel that time and I almost missed that trip because I slept late the night before. I was with friends the previous day touring around Seoul and I was so tired the next day that I needed to exert too much effort to drag myself off from bed. The adventurous part of me reminded me that I don’t have any more chance to go to Gyeongju if I will let this day pass. I finally convinced myself, and the verdict is to pursue my plan to travel to Gyeongju and I left my humble abode that cold early morning. Based on my readings (Thanks to Google for helping me out), one of the many ways to go to Gyeongju is to go to the Seoul Express Bus Terminal. The Express Bus Terminal can be reached via Seoul subway line numbers 3 and 7 and go to exit number 2. You can also take Line number 9 and take exit number 11. 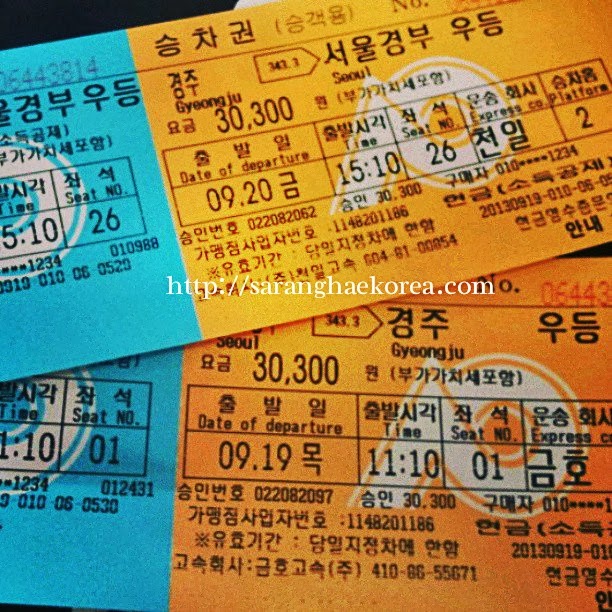 The fare from the Express Bus Terminal to Gyeongju City is 30,000 won. You can also take KTX at Seoul Station which is a little bit expensive than the bus. 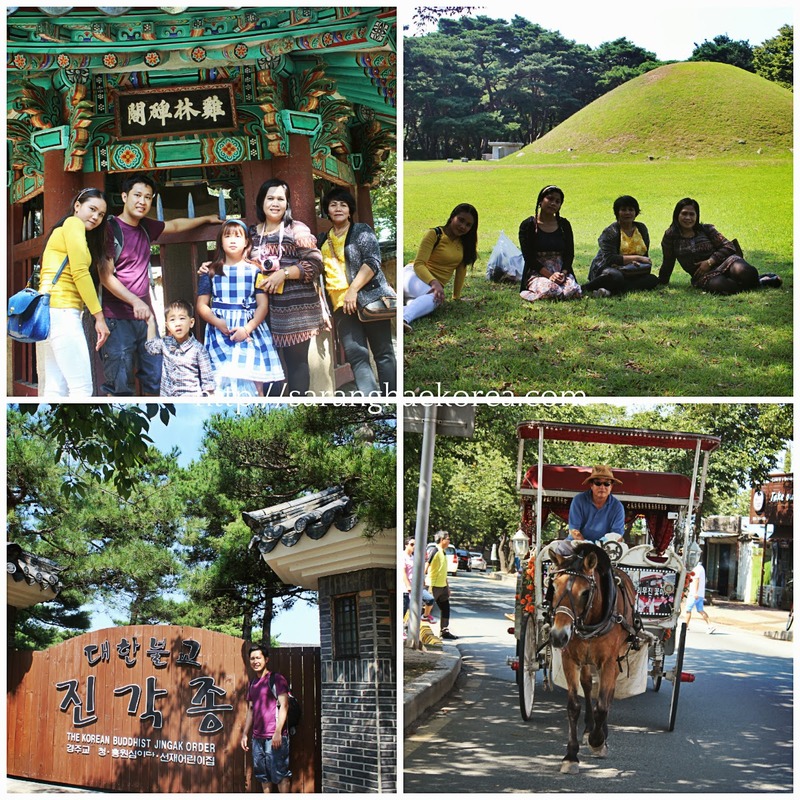 The day trip to Gyeongju from Seoul travel time is approximately 4 to 5 hours. I bought two bus tickets, back and forth. Good thing I can speak a little bit of Korean language so I was able to explain to the ticket vendor the schedule of travel I desire. Since I am expecting a long travel, I decided to come back the next day so I can stay there overnight. What was supposed to be a 4 hours travel turned out to be a 7 hours travel and I was reminded that Chuseok holidays usually is congested with people and cars. The main challenges are traffic and long lines in the public comfort rooms during the two stops. Nevertheless, I enjoyed the trip eventhough that some passengers have almost lost their patience and gone haywire because of the long travel. The ajumma besides me starts getting irritated with my constant question “Are we there yet?”. I think I asked her for the nth time, that was me being worried if I took the right bus and the right destination. We left at 11:10 am and we arrived at Gyeongju at 6:30 pm. That was a whooping more than 7 hours of travel. But all my worries had been wiped out and all my efforts had been paid off when I arrived at the well gated community of Gyeongju. My heart stopped beating for like 10 seconds in awe of the beautiful paradise that awaits me. I said, “Wow, this place is a real treasure”. You know and you can feel the Korean rich culture through the ambiance of the place. My aunt was already waiting for me at the bus terminal when I arrived and it was nice seeing her after she left our hometown for more than a decade. Gyeonngju city was the capital of Silla Kingdom from 57 BC to AD 935. That was more or less 992 years of ruling and it is considered the longest period of any dynasty in the History of Korea. Gyeongju was previously known by the names Seorabeol and Gyerim and adapted the name Gyeongju after AD 935. First beauty revealed: The Architectures. What makes Gyeongju beautiful is the historic ambiance of architectures that you can see almost everywhere. It’s like an open air museum. In fact, you don’t need to go to a museum to experience and see the feel of the Silla Kingdom. The place contains all the historic places and historic houses and historic sceneries that you feel like you have traveled in time back to the days when this place was still the capital of the Silla Kingdom. And because it was the capital city, all the relics of Silla Kingdom have been scattered all around the city. Symbol of Silla Dynasty and Gyeongju. 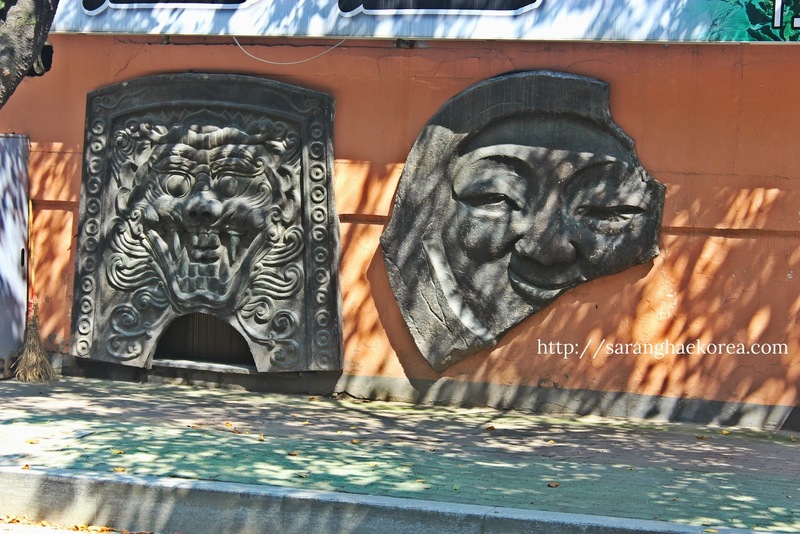 You can see these almost everywhere in Gyeongju. The residents of the city upheld their duty to preserve their cultural heritage and you can see their efforts by just looking at the designs of their houses. Most of the buildings there still follow the design of the old Silla Kingdom. This is their way of preserving their historical pride. This makes the place an open air museum because by just walking down the lane of Gyeongju, you are already witnessing the cultural heritage of the city. Buildings. Houses. Fences. All were built based on historic Silla Dynasty architectural designs. Second beauty revealed: The Night Life. Despite having a laid back ambiance, Gyeongju city have awesome night life to offer to those of you night owls. Since I arrived there at early night time, my aunt brought me to a group of Filipinos who are planning to go to Norae Bang that night for a weekend party. Norae Bang or Videoke Bar is one of the many things you can do at night time at Gyeongju. 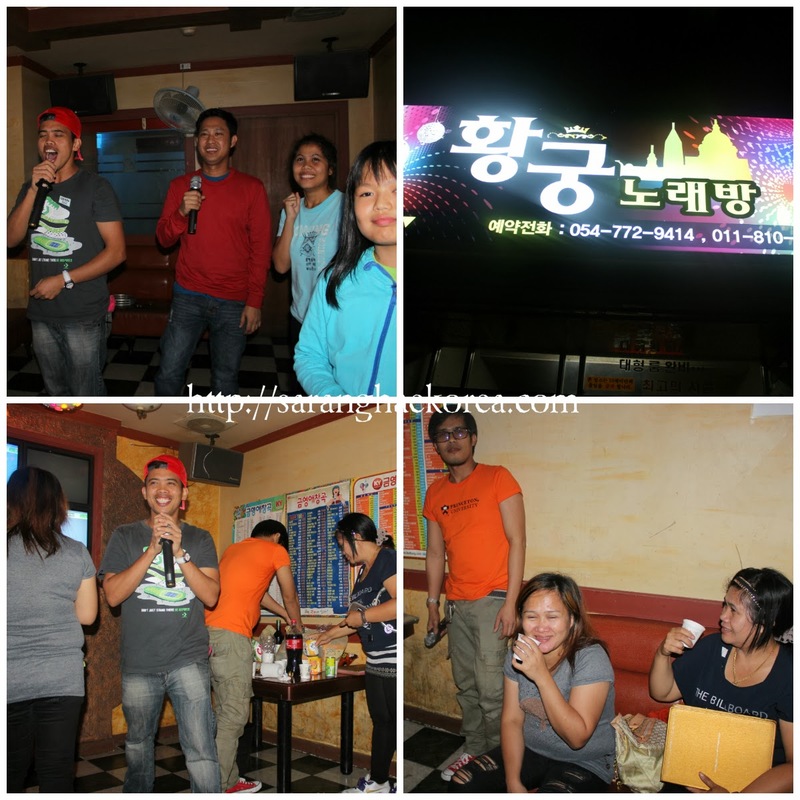 Although the place is not as loud as in Suwon and in Seoul, you can sing your heart out until midnight without having any troubles. Night time is simply beautiful at Gyeongju and pretty safe that we took along with us the kids to join us for that late night escapade. I really had fun spending my night with the Filipino Community at Gyeongju and I swear I could spend more nights like that without dull moments. Gyeongju looks different at night than in the daytime. It could be because of the colorful lights that it subdued the supposed to be historical feel of the place. Third beauty revealed: The tourist Attractions. 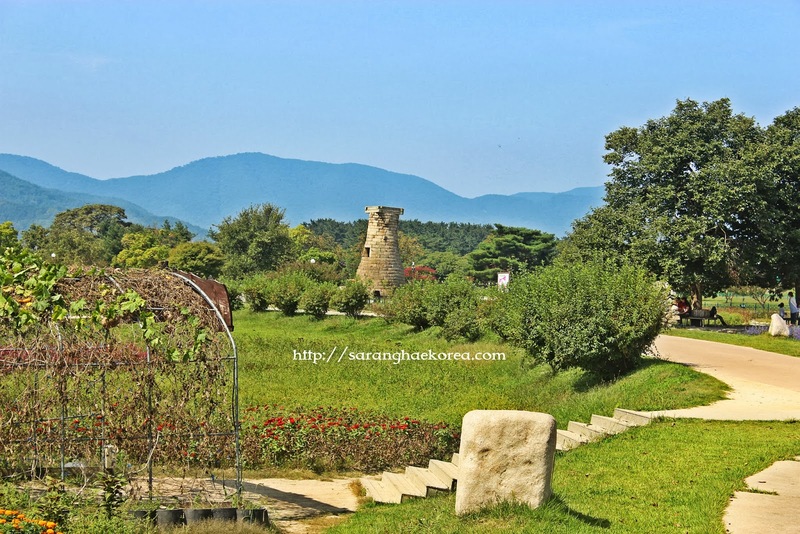 There are a lot of Gyeongju attractions that tourists can enjoy that one or two days are not enough to explore the place. Several spots of Gyeongju are reflecting the history of the place that it receives a UNESCO World Cultural Heritage. From a late night escapade last evening, we left the apartment as early as possible the next day because I have to go back to Seoul in the afternoon. Since I don’t have enough time, we visited the Gyeongju historic area situated in the heart of city, the nearest tourist attraction so far from my aunt’s place. In this park, I was in awe when I saw these humungous hills that scattered everywhere in the area. 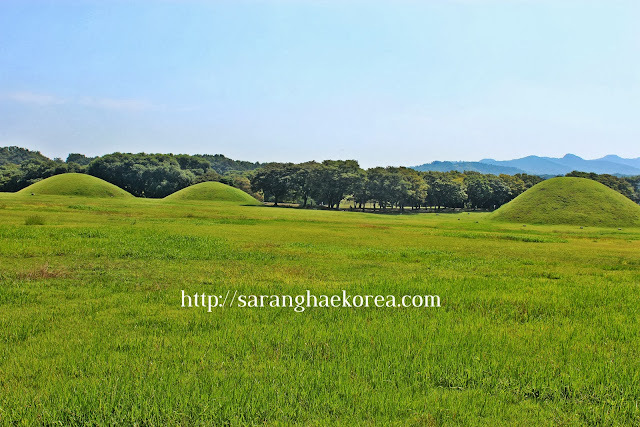 My aunt explained that these are not simply hills but grassy burial moulds that hold the tombs of Silla Kings. Wow, there are actually kings buried in these tombs. The Cheomsangdae Observatory was also there, it’s amazing that the old relic you just read from books is already right there in front of you. The Tombs of Kings at Gyeongju Historical Area. Aside from the tombs and the Cheomsangdae Observatory, the nature park is a place where you can sit and relax with nature. There are also numerous Buddhist temples and statues that you can see everywhere in the area and the chariot type of transportation is an additional tourist attraction. Tourists can experience the ride for a fee though. As I’ve said, one day is not enough to really savor the beauty of tourist attraction of Gyeongju. I should have visited the Gyeongju Anapji Pond, or the Bomun Lake, or get lost in the Gyeongju tower, and of course the most famous attraction of Gyeongju- the Bulguksa Temple. If there is one word that could define Gyeongju, it is BEAUTIFUL. I have stayed there for merely 24 hours and I somehow fell in love with the place. I guess the formula for it being beautiful is the brave preservation of the place despite the world’s modernization and the value that the people have invested to their cultural heritage. No wonder several Korean TV series and movies selected Gyeongju to shot some of their scenes. A thousand years have already passed after the fall of Silla, but you can still feel the air of the dynasty at Gyeongju. On that note, I will surely go back there, with more time and more preparation, I will make an extraordinary trip to Gyeongju next time. Thank you to the Filipino community at Gyeongju who despite me being peculiar to them, they welcomed me and made me feels that I belong. Thank you to Auntie Remy Estonina and family and to Santiago family for adopting me for my two days stay there. Until we meet again. Korea is truly beautiful and historic at that! It is still in my bucket list though, I'm still praying that someday I could get a chance to visit any place in Korea. I like the outdoor attraction in Korea. It looks so vibrant and the area is lush green. The nice thing about Filipinos is we always love helping our kababayans especially when we see them abroad... Just like in your case :) I'm sure you had a blast! True to that, here in abroad, if you met a filipino, it's like you know each others for a long time. looking forward to meet you here soon. Great sights, especially the Nature Park as I'm a lover of nature and serenity. :) I didn't know that Korea also has chariot / kalesa haha. yes, that was their mode of transportation during the Silla Dynasty. looks like you guys had so much fun here! i am so scared to be in other country which i cant read their signs or letters hehe some how i am afraid to be in their country. 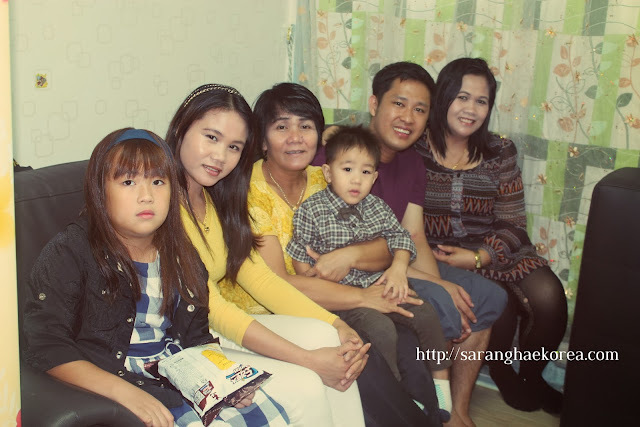 though hopefully i know they speak english nmn hehe and seeing oyur photos makes it more inviting for me! The new generation Koreans can actually speak English. I am highly encouraged to see Korea based on your photos and stories. I hope that will happen. oohh!!! the architecture is so cool!! really like Korea because of the way they have preserved their history and culture.. The place looks like a tourist spot here in the Philippines because of the hills and the horse. LOL!